Due to the fact the Easter Fair had to be cancelled yesterday, the PTA are now struggling for another date. To enable them to offload the chocolate, they are going to set up the chocolate tombola in the main school playground after school at 3.15pm today. We would greatly appreciate parents supporting our PTA and all the hard work they put in. Thank you. The PTA Easter Fair will be held on the 17th April, in the main hall, between 3.15 and 4.15pm. We hope you will join us there! Tomorrow is PTA Chocolate Tombola Dress Down Day. Children may wear football strips as long as they are sensible about this. Please would all those who dress down bring chocolates for the PTA Easter Fair. Thank you. Yippee! We are pleased to announce that Mrs Christie has secured £10,000 lottery grant funding. Our PTA has also secured just over £9,300 grant funding. All monies will be spent on playgrounds, as stated in the grant criteria. Look out for changes over the next few months! Governor Resources Committee met this week to discuss how we meet the needs of all children in these challenging times of financial restraint. They also considered a risk assessment of premises and plans for grant funding. We try to improve communication with families as often as possible. Our mobile app can be downloaded free of charge. To help Parents, there are now direct links to Parent Pay and Twitter on our mobile app. For those who do not want to open a Twitter account, select "not now" and you will be able to see Twitter. You will not be able to interact without an account, but we hope it will be useful for you to quickly see news updates. Harvey, from Leeds Rhinos, came to talk to us about healthy lifestyles. He brought along Ronnie Rhino, who danced to show us how fit he is. We will eat well, to be strong and healthy like Ronnie. Harvey also invited children to join rugby sessions with the Rhinos. We are responsible for making the right choices. Everyone dressed up today to contribute to fundraising for the charity. We decided that this was a good choice, as we were helping others less fortunate than ourselves. Thank you to all families who arranged red outfits! 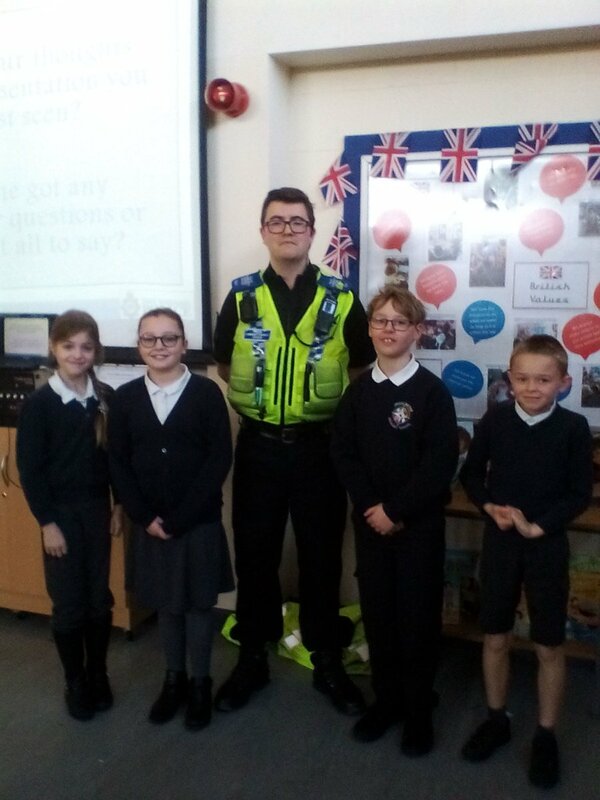 PCSO 624 talked to Y5 and Y6 children about knife crime. Afterwards, the children asked questions. They were sensible and respectful. They learnt important values about keeping safe. Just a quick reminder that we are hosting Parents Evenings tonight and on Wednesday for all year groups except Y3. If you do not have an appointment please ask your child's teacher. Y3 meetings will be held a little later in the year. Remember Friday 15th March is Comic Relief Day - wear something red. When you donate to Comic Relief you support vulnerable people in the UK and internationally. The vision is to create a just world, free from poverty. We can help by supporting the fundraising every year. We are pleased to inform you that we now have a new Parent Governor. There was only one nomination. Therefore, we do not need to go to ballot. The new Parent Governor is Nicola Warren, who has two children at our school. This week, we have been made aware of an online issue that puts children at risk. It is called the Momo challenge. At our school, we put safeguarding as our main priority. We often talk to children about being “safe and happy”. Please use the link address below to find a useful guidance sheet, recommended by Leeds City Council Child Protection Team. Also, there is a lot of advice on this website about other factors that may be worrying to parents and carers. Please be aware that we will do all that we can to support any family in any situation. If you have any concerns about anything at all, please contact us. I look forward to seeing you all next week during our Parent’s Evening sessions and hope you will be pleased with the work our teachers share with you. We have a really committed team of staff who work very hard to meet our vision – nurturing, supporting, believing, achieving. Today our children, staff and guests evacuated the building within two minutes, and were all accounted for within three and a half minutes. We practice regularly so that, in the event of a real need to evacuate, we can do this effectively. We also practice invacuation, where the whole school goes into lockdown. These measures add to our commitment to safeguarding. We work in partnership with a wide range of local people. Year 1 and year 3 enjoyed their rugby session with the Leeds Rhinos coach today. 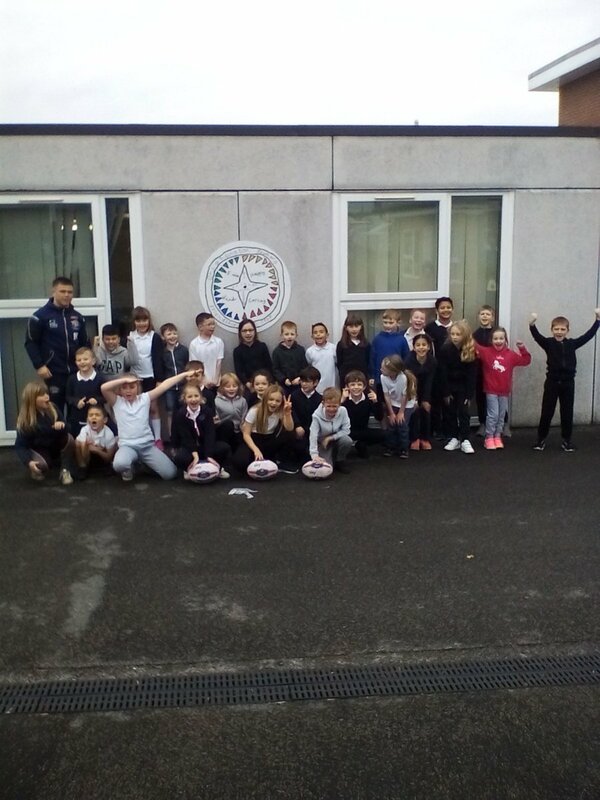 They learned how to carry a rugby ball and how to place the ball down when scoring a try. 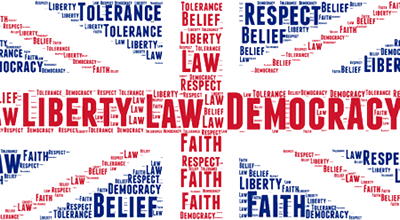 In assembly we thought about British Values and how we behave in school. It is up to each child to decide how hard they work in lessons. We call this individual liberty. We agreed that we all have to follow rules - even adults must follow the rule of law. We will be celebrating World Book Day on Thursday 7th March. What book character will you dress as? This is an important day in our school calendar as it gives children the opportunity to explore a text with a fun perspective. We put great emphasis upon love of reading as this is such an important part of the children's ability to access so many aspects of learning. We do not expect families to go to great expense for this occasion. All children will have a memorable day, whether they dress in costume or not. Come along to our book fair. A great choice of books. 3:15 to 4:00pm in the small hall Wed. 27th Feb until Friday 1st March. Don't forget you can use your World Book Day £1 voucher towards the cost of your books. Looking forward to seeing you there! We have been invited to create pictures of pets to be used for the front cover of the next Drighlington Parish newsletter. 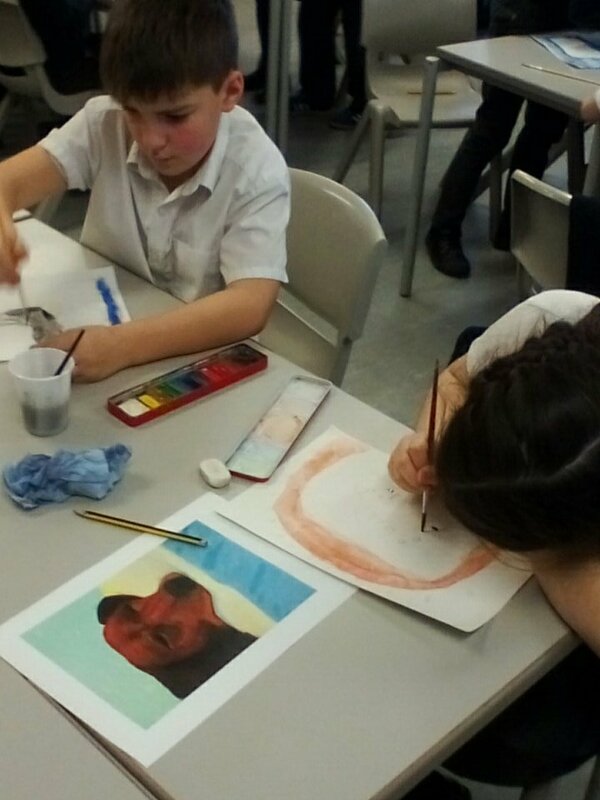 Our children are very busy, painting and drawing in the style of famous artists. They are enjoying the challenge! 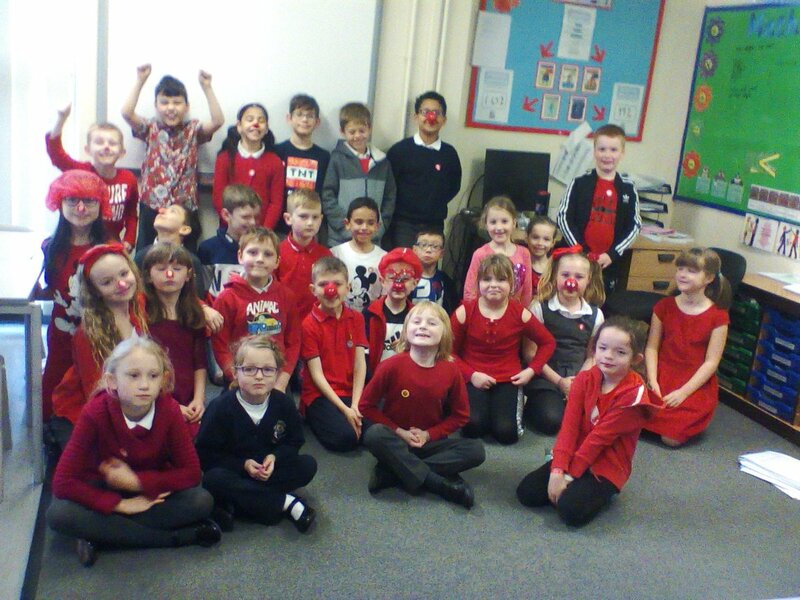 Comic Relief Red Nose Day 15th March 2019 - wear something red! Don't forget Evidence of Learning Day 17th July 2019. This is the time of year when families come into school to share and celebrate their child's learning achievements. We hope the weather will be pleasant, so that families can sit out in the sunshine whilst looking at books. For our next family challenge we are focusing on promoting reading and, particularly, reading for pleasure. Reading is a vital skill for children to master if they are to be successful in life. It is really important that every child in school should read every day. We would love to see pictures of your children (and yourselves?) enjoying a favourite book, a library book or one from the reading scheme, as we have some lovely new books in school. Children have reported enjoying our colour coded book scheme and choosing their own reading books. All classes are visiting the library once a month and children are encouraged to bring a book from home they have out grown or already read and swap it at Reading Rinaldo’s Book Swap shelf for a different book. Early Years children have book swap boxes in their classrooms and can swap their books daily. Our family challenge is to take a photograph of your child ‘Extreme Reading’ and bring it into school or send via email to info@drighlingtonprimary.org.uk. This can be reading: in the garden, up a tree, at the zoo or anywhere you can read! Entries should contain the child’s name and class and will be judged and displayed in school by Friday 1st March. We look forward to receiving your imaginative ideas. Our Newsround Reporters are Joe, Hanifa, Liam, Armani and Daisy. In assembly today, we introduced them and talked about the important job they will be doing. They will have to find out what children think about our school and then write reports to share the ideas. This afternoon, they had their first Newsround meeting - they were given special badges to wear in school. Their first job is to find out what children like about our school. They will publish their reports on the Children's section of our website. We would like to say a big thank you to all who supported the Christmas Jumper Day on Friday 14th December. It was a great success and together we raised a grand total of £289.28! Sadly we have had another report about unsafe parking on the yellow lines outside the school, this can make it more difficult for children to cross the road safely. As you know, being safe and happy is the most important work of our school. We want the start and end of the day to be safe for our children. We are determined to make sure that everyone understands our vision and knows what we aim to achieve. It is important that everyone understands the meaning of our vision words - nurturing, supporting, believing and achieving. In assembly this morning we revisited the four vision words. This week, we will send a key messages booklet to all families so that our vision, school improvement targets and curriculum aims are clear to everyone. A copy of the key messages booklet can be found at the top of this page. One of the ways in which we aim to help children to be better readers and writers is by developing their understanding of a wider range of words. Starting from today, each class teacher will be focusing on 5 words a week (3 words in nursery). These will be linked to our class texts to encourage children to develop their independent use of vocabulary. Words will also be displayed on classroom doors. Parents and Carers can help us by asking children to tell them what their focus words are and by asking them to explain what the words mean. Happy learning everyone! This week we are focusing on reusing reading books from home. Children in Y5\6 will bring in books to swap on Mondays, Y3\4 on Wednesdays and Y1\2 on Fridays. Our whole school word of the week is "enquire" - children will enquire if they come across a word they do not understand when reading. The new family challenge (open to all children) is to draw a picture, create a poster, write a poem, or write instructions about how to reduce, reuse or recycle. The deadline for completing the family challenge is next Friday the 25th January 2019. Every entry will receive a small prize and the winners will be displayed on the website, around school and in local public places such as local churches and the library. A winner in each class will be named the Eco Warrior for their class. We look forward to seeing the artwork and writing! As part of our work on healthy eating we will be holding a Change 4 Life school dinner day on Thursday 17th January 2019. All children, even those who do not normally have school dinners, may book a Change 4 Life School dinner for one day so they can try the experience of school dinners with hot vegetables and fresh fruit. Also, with the busy workload of many families and cold days approaching, we think it would be a good idea to encourage as many children as possible to have hot school dinners. On Change 4 Life school dinner day we will be serving a roast chicken dinner, with a range of vegetables and an option of ice cream and fresh fruit. We will be talking to children about healthy foods and how a healthy diet can improve brain power. Save our planet! Our new Care, Think and Learn statement is making us think about using paper much more carefully so that we can save money. We know that paper is made from trees and have also explored how our action to save paper will make a difference to trees around the world. This morning we thought about what Christmas means to us with Pastor Barry from Moorside Church. The children reflected upon the Christian values of Christmas. Celebrating the birth of Jesus is a really special time of the year for everyone. We would like to say a big thank you to all who supported the Jeans for Genes day on Friday 21st September. It was a great success and together we raised a grand total of £249.40! 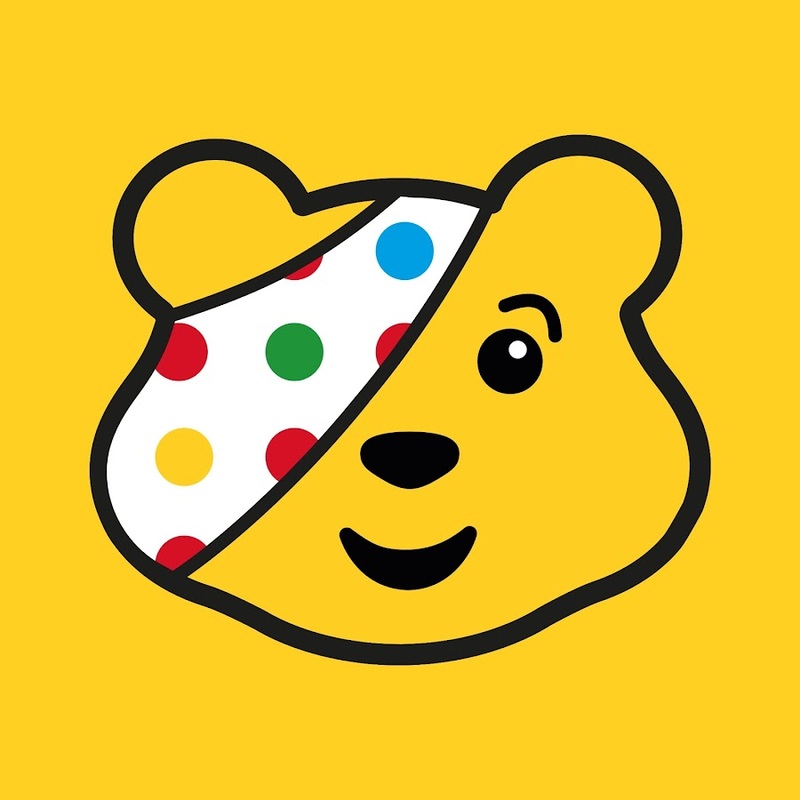 Don't forget that tomorrow is Children in Need Charity day. Children can support the charity by wearing something spotty. This half term we are setting an optional homework task for all children linked to the 100th anniversary of the end of the First World War. We would like to create our own ‘River of Poppies’, similar to one displayed at the Tower of London. We would therefore like each child to produce a poppy. We will join them all together to create a whole school display in the hall. You can create your poppy out of any material you like (tissue paper, card, knitted, etc.). We look forward to seeing the results and using the work to commemorate this important event. Sadly we have had another report about unsafe parking on footpaths and corners of the streets. This especially applies to those who park on yellow lines outside the school. As you know, being safe and happy is the most important work of our school. We want the start and end of the day to be safe for our children. Thank you for keeping our village a happier place for everyone. Once again we would like to thank everyone for supporting our PTA with their Starlight recycling collection. The container is outside the main gate. So far, your collections have raised £222.70 towards the PTA account. Keep up the good work! We asked the children for their views about how we should celebrate our Anti-Bullying Quality Mark Bronze award. After much discussion in all classes, the general agreement was to have parties. So ... in all classes, there will be parties, held on different days of the week! Our wonderful PTA will provide refreshments. Parents and Carers need do nothing other than remind children how amazing they are and how proud we are of them for achieving this national award. We will be celebrating this achievement with some special events in school over the next few weeks. If you would like to read the full final report from the assessor, please visit the school website. Click on 'Our School' then 'Anti-Bullying Quality Mark'. In this section you will also find further information about our Anti-Bullying work in school. Thank you to everyone who has worked so hard to make our first week so successful. The children have settled really well and we are very proud of them. In out first assembly, children thought about their growth mindset. We wondered what difference a positive mindset makes. We know that we have to try hard, keep going no matter what and remember there things we can't do ... yet! What a fantastic start to the new year. Our school team is dedicated and ambitious! The atmosphere in classrooms is positive, the children are enthusiastic and adults are keen to focus on targeted learning. Thank you to everyone who has supported us in achieving many successes this year. Have a safe, happy and enjoyable summer. We look forward to seeing everyone on Tuesday the 4th September (Monday the 3rd is a training day). We are pleased to inform families that we are now able to confirm arrangements to extend our wrap around care from 7.45am to 5.30pm. There are limited places. Interested Parents and Carers can access these sessions by contacting the school by telephone (0113 2853000) or by email (info@drighlingtonprimary.org.uk). We would like to remind everyone that Evidence of Learning Day is on Wednesday the 18th July 2018 at 2.30pm. Morning nursery parents may arrive a little early for end of morning pick up, to share their child's learning. We know that we are unusually late in handing out our year end reports due to a range of complications. We ask families to bear with us, as we are working hard to finish them and send them out as soon as possible. After a meeting of the PTA, it appears that we may be able to see the end of our journey. The current five committee members are doing everything they can and still we are falling short. I’d like to ask that you take a moment to reflect on an event you have enjoyed as a family, or maybe you hear stories of much loved resources at school that have been funded by the PTA. It would be a shame if our children were to lose out on all of this but we are not sure of the way forward unless more people can come forward to help. France class and morning nursery will be 10.45-11.30am. KS1 Sports Day will be 1.15-2.15pm. Spain class and afternoon nursery will be 2.15-3.00pm. Our PTA Starlight Textile recycling scheme has raised an amount of £114.60 to date. Thank you to everyone who has contributed to this by putting old clothes into the container at the main gate. There have been reports about unsafe parking, on footpaths and corners of the streets.This especially applies to those who park on Kingsdale Gardens and on Moorland Road. As you know, being safe and happy is the most important work of our school. We want the start and end of the day to be safe for our children. We must also respect our local residents who are working with us to keep the area safe. For example, they have arranged for pot holes and footpaths to be repaired, had hedges trimmed so that view around corners is better. Thank you for keeping our village a happier place for everyone. KS2, France class and morning nursery children will do Sports Day in the morning. KS1, Spain class and afternoon nursery children will do Sports Day in the afternoon. On Tuesday 10th July KS2 will be in the morning. KS1, Spain class and afternoon nursery children will do their Sports Day that afternoon. On Thursday 12th July morning nursery and France will do their Sports Day. Evidence of Learning Day will be on Wednesday the 18th July. The last day for children will be Tuesday the 24th July. All who have been using our current mobile app can do so until the end of May 2018. Our new School Jotter container mobile app is now live on both Android and iOS. To download it, search for "School Jotter" in the app store and then select our school from within the app. Once the school has been selected by the user, the app will adapt to then match the branding and theme of your school - effectively looking like your existing standalone app. If you don't download the new app, you will receive a notification that your app will soon be out of date. In the links section, you will be provided a transfer guide and links to the apps in the App Store and Google Play Store. May we remind all Parents and Carers that we need to be respectful of local residents when parking at drop off and pick up times. This especially applies to those who park on Kingsdale Gardens and on Moorland Road. The Police occasionally monitor these areas and will issue parking fines. Thank you for keeping our village a happier place for everyone. To celebrate the Royal Wedding, our Kitchen Team will prepare a special hot and cold buffet instead of the normal hot lunch on Friday the 18th May 2018. It would be wonderful to see all children in classes from Reception to Year 6 wearing red, white and blue on that day. Children in Nursery will celebrate on Wednesday the 23rd May 2018 and can wear red, white and blue on their celebration day. Children can wear one, two or all three royal colours. If children who normally have packed lunch on that day would like to have the buffet, parents/carers should inform the School Office. Thank you for your support so far this year. Within the next week or two we will give you an update as to where we are with regard to progress towards Ofsted targets. Many positive things are happening in school as we continue to work to further improve provision for all children. Happy Bank Holiday, have a lovely weekend. Being "safe and happy" is the most important work of our school. When it is secure, we can focus on the learning across school. Tell us if you think your child feels safe at school by going to the poll on our Parents page of the website. This will help us to decide if we need to change our policies and practices. Yesterday we started something new - Friday Five! Every Friday, five children in each class will get a reward certificate and a toy. This will be in recognition of good behaviour. In nursery, the same thing will happen, but on Wednesdays. Who will be chosen next week? In assembly this week we also thought about international Earth Day, which is on Sunday the 22nd April. We studied the reasons for Earth Day and promised that, on Sunday, we would each do one small thing to save planet Earth. What will you do? This week’s Care, think and learn statement is ‘What does awe and wonder mean to you?’ We looked at the Northern Lights, Grand Canyon and a spider web with a span bigger than a man! We agreed our world is awesome and wonderful. What do you think? Happy Easter everyone. On Sunday, don't forget the true meaning of Easter and take time to reflect upon the Christian values. School opens again on the 16th May 2018. What a great success! It was a pleasure to see so many families engaged in this activity. Thank you to everyone who helped and everyone who came along to play games, try to win prizes and to have fun. As usual, the Chocolate Tombola was very popular; we could not run this stall without the donations from our families. We will soon confirm the amount raised which will go towards the two items PTA are fundraising for this year - new reading books and the development of the garden at the back of school. Due to increased costs, please note school meal prices will increase after Easter to £2.40 per day, i.e. £12.00 for a full week. This applies only for years 3 to 6 children unless they are entitled to Free School Meals. All children in Reception to Year 2 are entitled to Universal Infant Free School Meals. Our meals, which are provided by an independent catering company, are freshly prepared on site each day and we offer a range of hot and cold foods, including sandwiches and fresh fruit options. The catering company sets the cost of the meal which is currently set at £2.40 per pupil. Previously school has subsidized the cost of school meals, but due to budget restraints we are no longer able to do so. Payment for dinner money for years 3 – 6 is accessed online via ParentPay. If you have not yet set up payment and need to do so, please contact the Admin Team who will provide you with your activation edetails. If you wish to change your child from dinners to sandwiches or vice versa, one week’s notice in writing to the office is required to support our kitchen team with their planning for food orders. May we respectfully remind all parents and carers that we are not allowed to administer medicines unless they are prescribed by a GP, have the child's name and date of birth on the GP label, and are within use by date. Also, we need parents or carers to complete a permission form before we can administer. Any medication that is not supplied by a GP, including Lipsyl and cough sweets, is not allowed to be brought into school. The PTA will be hosting a dress down day on Wednesday 28 March in exchange for a chocolate donation to support the chocolate tombola at the Easter Fair on the same day. Look out for the quickie note that has been sent home this week. We will not be involved in Sport Relief this time because we are already asking families to support our Easter Fair. We try really hard to keep our fund-raising within reasonable expectations. For a brief summary of updates since the last Ofsted inspection, please see the newsletter dated 21.3.18. We sadly say goodbye to Mr Hammond next week as he will be leaving to pursue a career in music. We all know that he is passionate about music and owe him thanks for his fabulous contribution across school. Moorland Road is almost clear of snow; we are pleased to say there is no reason to close school tomorrow despite the dreadful weather we experienced this weekend. We look forward to celebrating friendships as part of our ‘Care, think and learn’ approach during the next few days. Due to many reports about road accidents and blockages we regret to say we have decided to close school today, Thursday 8th March. Due to news that many local roads are unsafe and untreated, we will postpone opening of the school until 10 o’clock. During that time we will monitor the roads. If we think it is not safe to open we will let everyone know by 9 o’clock that we are closing school. Parents' Evenings will be held on Monday the 19th March 2018 from 3.30-5.00pm and Wednesday 21st March 2018 from 3.30-6.30pm. Appointment letters will be sent out this week. We are very sorry but have decided to close school tomorrow, the 2nd March 2018, due mainly to an amber weather warning sent to all head teachers in which there is a prediction of snow until late tomorrow morning. Also, many local roads are dangerously slippy. Stay safe everyone. World Book Day has been rescheduled to the 9th March 2018. Keep your costumes safe until then! We are sorry but school is closed today due to excessive snow. We know that children will be disappointed about World Book Day. This will be rescheduled to another day. Be safe everyone. Today we had our first whole school invacuation drill. All children found their way to a safe place following the procedures they have practised. Our younger children in particular were superstars! All of our systems for getting in touch with families depend upon us having access to the internet. This morning we were able to use Twitter and Facebook, but the mobile app crashed. We will always use as many ways as possible to keep everyone updated. We ask that families search for information in different ways before telephoning the school. Thank you for your support and understanding. School is open as usual this morning despite the snow. The website that we use to send app messages was down this morning - apologies for the late message. We do try to keep you informed in as many ways as possible. Please check the app, Twitter, the website News page, emails, texts or We Love Drighlington Facebook page for updates if the weather deteriorates. Don't forget World Book Day is on Thursday 1st March. 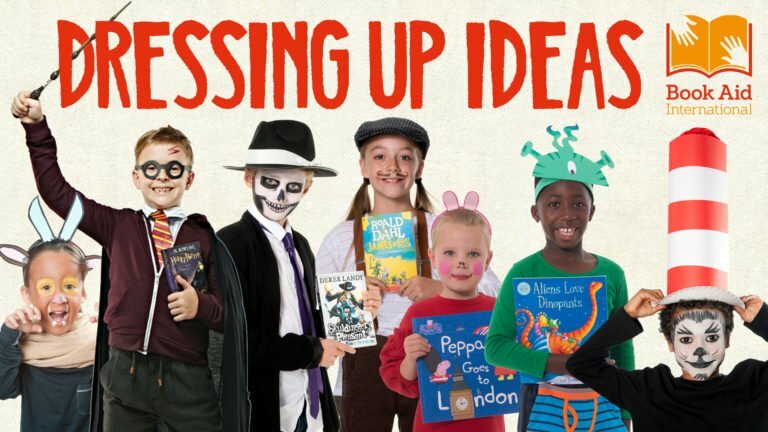 Children can dress up in costumes to reflect their favourite book characters. There will be lots of fun learning throughout the day linked to books, authors and brilliant stories. It snowed overnight but footpaths are now cleared around school. Main roads have also been gritted and school is open as usual. Please keep an eye the mobile app, Twitter and the website News page for updates throughout the week. Parents' Evenings will be held on Monday the 19th March 2018 from 3.30-5.00pm and Wednesday 21st March 2018 from 3.30-6.30pm. Appointment letters will be sent out soon. World Book Day will be held on the 1st March. We will celebrate by encouraging children to wear book character costumes. Many of the staff will do this too. Throughout the day there will be many opportunities for our children to explore books, to share books and to read to each other. It's too cold to go out to play. Let the children learn inside... go to our website Children's page to find links to lots of safe learning pages. Internet learning is one way of engaging children and getting them to focus and practise their skills at the same time. Let us know if you find new children's English and Maths learning pages that we can add to our website. Our PTA donated a cheque for £3000, so that we can buy more reading books. Thank you to everyone who helped to fund raise. We are placing a great deal of emphasis on reading this year. All classes have a class novel, including early years. This is used to inspire children to read and write. We also have our Reading Rinaldo Book Swap Clubs, encouraging children to bring in books from home and swap them for books they have not read before. In classrooms, teachers have developed a reading area in each room so that children can choose their own books and sometimes have quiet reading time in a dedicated area. We would love to extend this work even further by inviting parents and carers into school to hear readers. Contact the school office if you are interested in doing this. Thank you to everyone who supported Wear it Pink. We raised £242.85 for charity. We also raised £124.72 for Save the Children Christmas Jumper day. Pobble is an international website which is used as a showcase for children's writing across the world. It is also a useful teaching tool. Today we held our second Pobble Writing Day in school. Mr Perry came to talk to children about memories from 2017. This generated lots of discussion in classrooms and children produced excellent writing. For more details about what happened, look on Twitter (Learn@DrigPrimary) or look at the Pobble website. We know that we need to keep the focus on improving standards, especially in English. Reading is a great way to learn, relax and experience adventure and new ideas. We invite all families to help us to generate greater love of books this year as we make 2018 a year of extra improvement in reading, both in school and at home. Our PTA are supporting us by fund-raising to buy new books. We have asked children to challenge themselves by setting their own targets for the number of books they will read this year. We have introduced a Reading Rinaldo Book Swap Club. All children are invited to bring to school one old book they no longer need. They will then take the book to a special swap bookcase, and exchange it for another which they will then take home to read. Children can do this as often as they wish. Each Friday, children in Y1-6 may bring any reading items of their choice such as comics, magazines, non-fiction and story books. We call this 'Free Read Fridays'. We would like to remind parents and carers that we would welcome their support to read stories or hear readers in school. Children love to work with volunteer readers in this way. There will be other initiatives throughout the year and we will keep families informed. This was organized by our PTA and the container is just outside the main gate. Our first collection raised £57, of which £15.20 was donated to the Fire Fighters Charity. The remainder of the money will add to the PTA fund to buy more reading books for school. The PTA has already donated £3000 to school this year so that we have been able to buy more reading books. With almost 450 children in school, we need to constantly upgrade our books to keep children interested in reading and give them the good quality books they deserve. Thank you to everyone for your support. Merry Christmas to all of our families and friends. We hope that everyone has a truly special day. We would also like to wish everyone a Happy New Year. School is open as usual on the 2nd January 2018. Thank you to everyone who voted in our Parent Governor Ballot. The successful candidate was Rachel Dolman. May we thank all nominees for offering to be involved in the ballot. It is good to know that we have so many supporters who are committed to our school. Christmas parties will be held next Wednesday, 13th December, at some point in the day for all classes. Children may come to school wearing their party clothes. The school Christmas dinner is on Thursday 14th December and the last day to order is Friday the 8th December. The last day of term is Friday 15th December and children can wear Christmas jumpers as planned. The Christmas fun day last Friday was fabulous - we wanted to surprise children with a full day of exciting activities and the atmosphere in every classroom was magical! This is a new way in which we can give updates about learning experiences and achievements that children make in school. Families can share Twitter news with their children and talk about what goes on whilst children are in class. Adult helpers needed to support our mini shoppers. Please contact the PTA if you can help via the office, their facebook group or tell your teacher. May we remind all families of children in Year 3 to Year 6 that we will hold our Christmas Carol Concert at Morley Town Hall on the 7th December 2017. We ask that children wear Christmas colours of red, green or white (white school shirts will suffice). Children may wear a Christmas Hat too. It is really important that children do not wear jumpers - it was far too warm for them on stage last year. The event is booked for the evening and we will confirm exact timings as soon as possible. Miss Bentley, who teaches in our Nursery, will take the lead of Early Years from January 2018. Mrs Jackson will continue to support Early Years until the new role is well established. We need to appoint one new parent governor through parent ballot. Ballot papers have been sent to families, two forms per family. Ballot papers should be returned to the school by 3.30 pm on Friday 1st December 2017. The counting of votes will be held at the school on Monday 4th December 2017. There are still a few places left for the Whitebox Photography and Santa's Grotto session which will be held at school on Saturday 9 December. Tickets are £10 per child which includes 10 copywrite free professional photographs on a disc and a visit to Santa in his grotto with a gift for each paying child. To book please complete the letter handed out in class and return it with your payment as soon as possible. Drighlington Primary School PTA has once again been accepted to the Co-op Local Community Fund scheme meaning every time you swipe your membership card at any Co-op you can earn money for the school too. To select DPS PTA as your chosen project log on to https://www.coop.co.uk/membership. Children in need day is next Friday, 17.11.17. Wear something yellow or something spotty. Christmas Jumper or T-shirt day is Friday 15.12.17. The PTA funded our new transport play equipment for younger children and we now have in place two ball shoots for the older children. 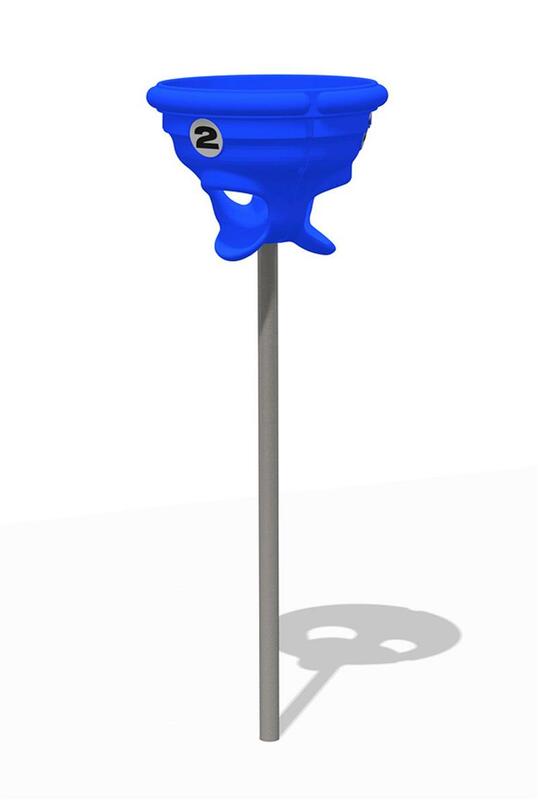 These were installed on Friday - the children love them! Thank you to everyone for supporting PTA events and thanks to our great PTA team. The ball shoots are in the main playground and the side playground. Mrs R Carr and Mrs V Jackson will both soon commence maternity leave. Mrs N Howe, currently Acting Deputy Head, will cover Mrs R Carr's class alongside Mrs Blackburn and Mrs G Pickering will return to cover Mrs Jackson's class. Mrs Abidi will soon return as Deputy Head. May we remind everyone that our school is a no smoking site; this includes no vaping. To support Children in Need Day on Friday the 17th November we are asking families to send children in something yellow or something spotty. There is no need to buy anything special for this event. A simple tissue with spots on it, hanging from a pocket, spots on a face or a spotty ribbon in hair will be enough for your child to feel involved. If so, this is the time of year when you will be looking at new schools. You are invited to come along to Drighlington Primary School on the 15th November 2017. You will be able to see the school in action and meet staff and children. Thank you to everyone who was involved in the fundraising event. It is great to support charities that do good work for the community. Thank you to our PTA for organizing the event. Our biggest thanks go to Titan and Rhona, the guide dogs who spent time in school with us last week. We raised £1063.74 for the charity. In our school we try to be as efficient as possible and make best use of our budget. One of the things we are working towards is spending less on paper and photocopying. As often as possible, we update information using the mobile app and the news page on the website. More and more often we will send emails to those parents who have supplied an email address. All of these strategies will save money and help us to cut down on the use of paper, thus saving trees too. We ask that families keep their email addresses updated, that they check the website parent news page regularly, or load the school mobile app onto their phone for convenient access to updates. A few of our children have started to bring into school fashion spectacles that have plain glass or elements of magnification in the lenses. We are worried that wearing these may cause damage to eyesight and ask that parents and carers do not send fashion spectacles to school for use in lessons. If any parent or carer is worried about their child's sight they should seek advice from an optician. If there is anything we need to do to support families, please ask us for help. Please contact us through the PTA Facebook page - www.facebook.com/drigprimarypta or call in to the school office to claim your prize. Treasure Trail packs are still available to buy should for £3 if you would still like to take part. Please send your money in to school in a sealed envelope with your request and details of your child's class or again contact the PTA through Facebook. This is just a quick reminder that it is Brain Food Day today. Healthy eating supports healthy brains and great learning. Our fantastic lunch team will prepare additional healthy food options today. Anyone may have a hot lunch today. For those who bring packed lunches, remember to add something that is especially healthy. The closing date for nomination of interest in becoming a governor was the last day of the summer term. Governors are now considering all applications and will shortly announce new appointments. In the past, families have asked us to consider Parent Pay as a means of paying for school lunches. This is something we have been investigating for a while. After much research and planning, we are pleased to say we are now well on the way. This week, our Administration Team had training and the software is being installed on our school systems. By the end of the term we expect it all to be in place. In the future we will also explore ways of paying for educational visits through Parent Pay so that the process of paying and collecting is much easier for everyone. There is still much to do. In the meantime, we aim to get a link on the school website by the end of next week. All families who wish to use this facility will then be able to start to register, so that when it is up and running they are able to use it straight away. We hope that this runs smoothly and is another step towards great partnership between home and school. The PTA will be hosting a treasure hunt on Saturday 30th September 2017. It will start outside the Meeting Hall between 12pm and 3pm. Refreshments will be served until 5pm. There will be a raffle and a star prize. Entry will cost £3. We hope that everyone enjoys this special event. The PTA bags for charity event was a great success. Thank you to everyone who brought in their bags of unwanted items. Your support is always appreciated.